Make a difference for Red Cross Home For The Disabled with your donation. The Red Cross Home for the Disabled (RCHD) is a residential home for those with multiple disabilities and operates a Day Activity Centre providing day care services for more than 100 residents. With a team of dedicated nursing professionals, therapy and healthcare aides, physiotherapists as well as occupational and speech therapists, they provide quality care to those who are unable to care for themselves due to their unfortunate disabilities. Over the course of 3 days, we invited our customers to donate adult diapers to the beneficiaries of RCHD. We received a total of 525 donated packs of TENA adult diaper slip plus. 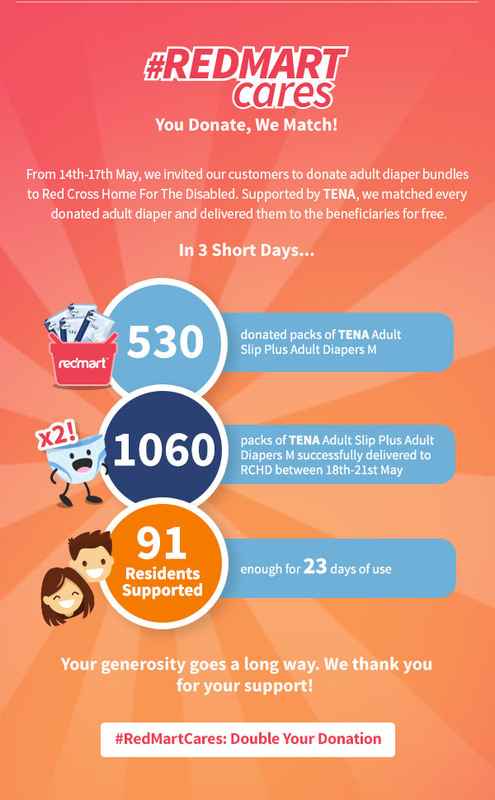 Supported by TENA and as promised, we have delivered a total of 1050 packs of TENA adult slip plus to the beneficiaries of RCHD. This provides 91 Residents with 23 days worth of adult diapers. Your donation has made a difference. You're a MEGA STAR! To learn more about our Terms and Conditions for #RedMartCares: Double Your Donation Project, click here. 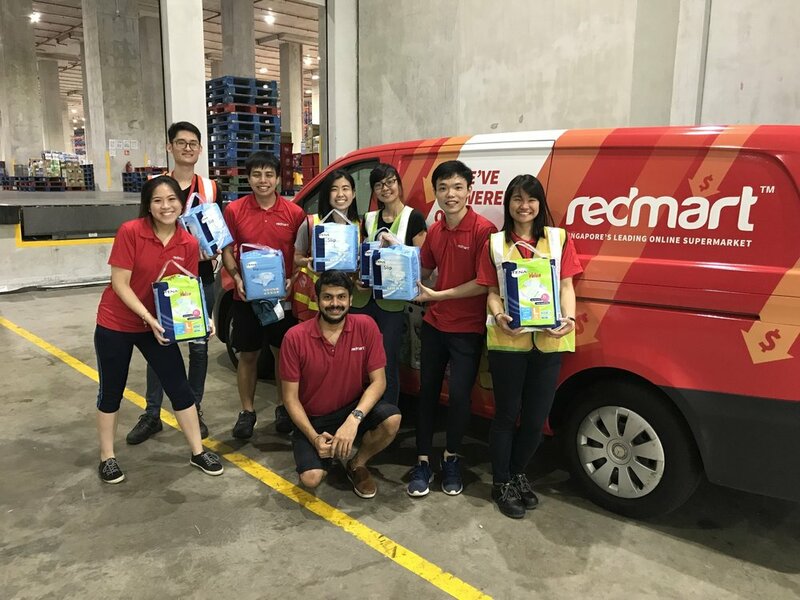 RedMart Visits Red Cross Home for the Disabled!